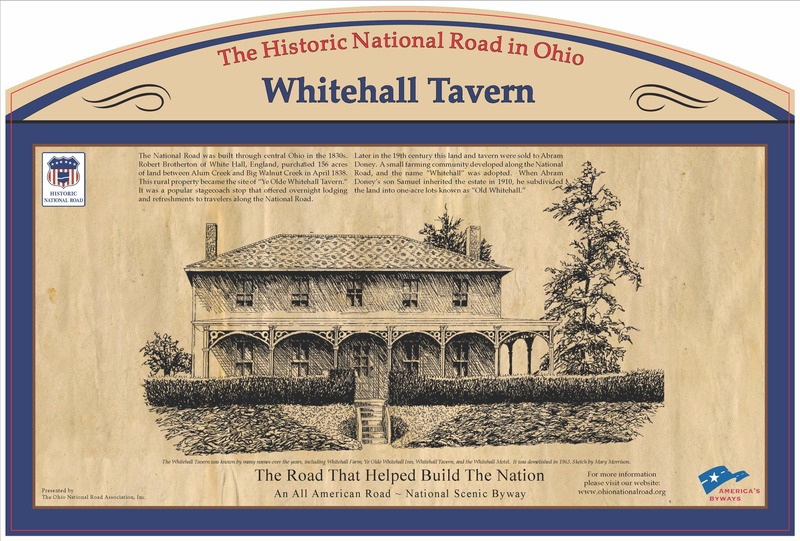 The Whitehall Tavern Interpretive Sign was unveiled in Whitehall, Ohio on October 24, 2015. 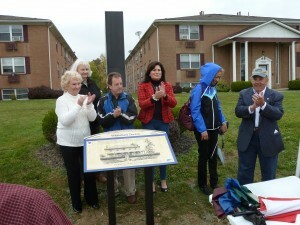 This sign is located at the site of the former tavern which is now an apartment complex (National Road Apartments) just east of the intersection of East Main Street and Maplewood Avenue. 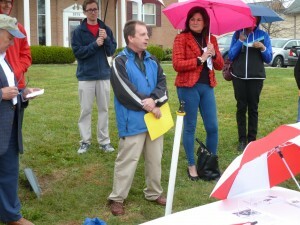 Whitehall Mayor, Kim Maggard, addresses the crowd during the unveiling. 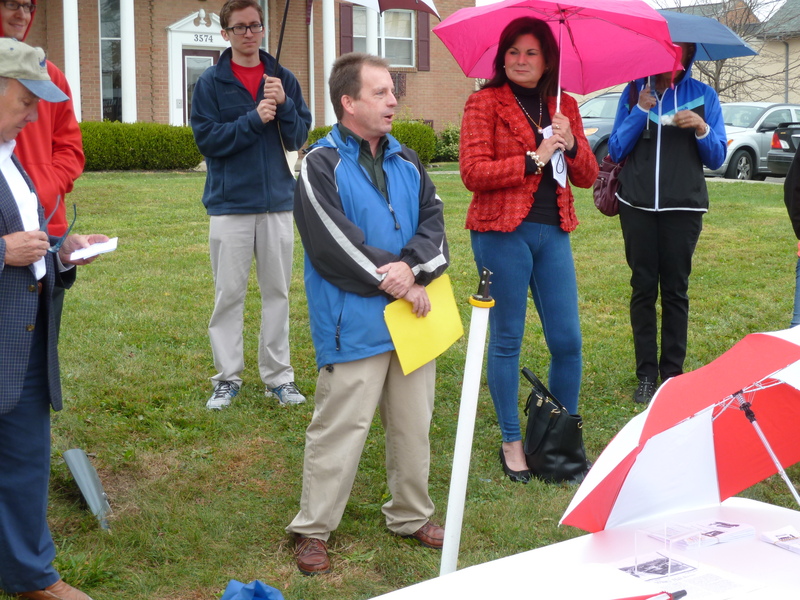 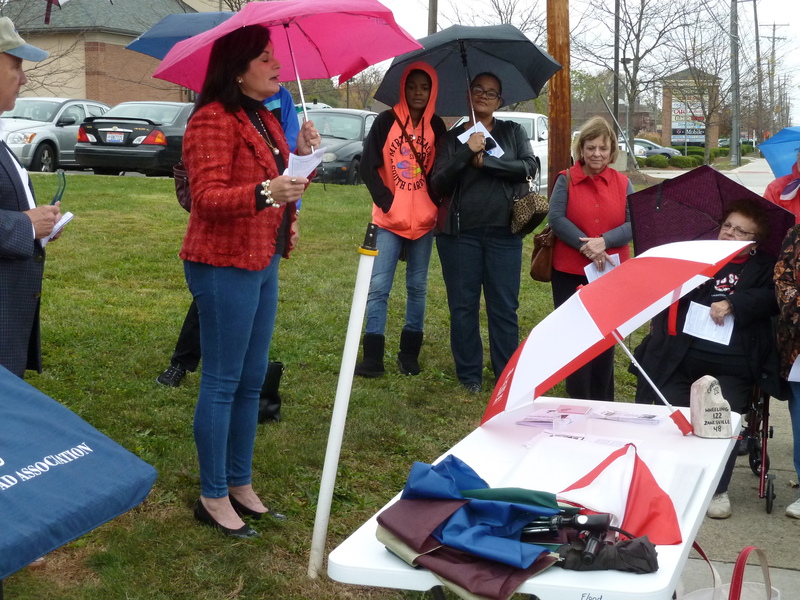 The rain didn’t keep away the crowd nor dampen the spirits of those attending the event. 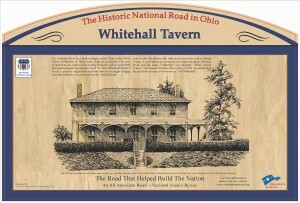 William Flood spoke about the Whitehall Tavern as the incoming President of the Whitehall Historical Society. 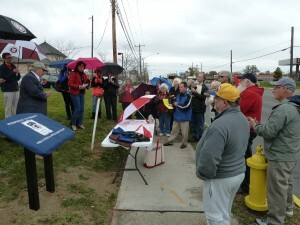 The crowd awaits the unveiling of the Whitehall Tavern sign which is being introduced by Mike Peppe. The sign is unveiled by Roberta LaCorte, William Flood, Kim Maggard, Cathy Nelson, and Mike Peppe.